In the aftermath of the 1906 San Francisco earthquake, residents of the city’s iconic Mission District bucked the city-wide development plan, defiantly announcing that in their neighborhood, they would be calling the shots. Ever since, the Mission has become known as a city within a city, and a place where residents have, over the last century, organized and reorganized themselves to make the neighborhood in their own image. 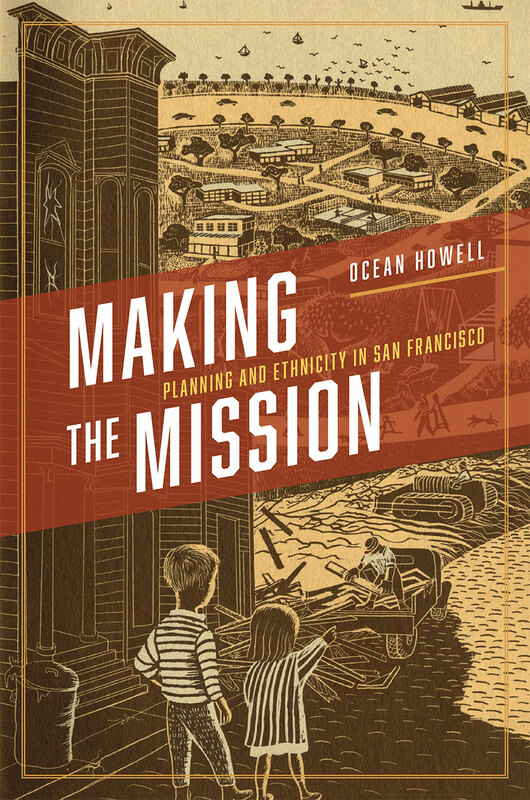 In Making the Mission, Ocean Howell tells the story of how residents of the Mission District organized to claim the right to plan their own neighborhood and how they mobilized a politics of place and ethnicity to create a strong, often racialized identity—a pattern that would repeat itself again and again throughout the twentieth century. Surveying the perspectives of formal and informal groups, city officials and district residents, local and federal agencies, Howell articulates how these actors worked with and against one another to establish the very ideas of the public and the public interest, as well as to negotiate and renegotiate what the neighborhood wanted. In the process, he shows that national narratives about how cities grow and change are fundamentally insufficient; everything is always shaped by local actors and concerns. "An important study about the nature of neighborhoods"